It’s Just Stiles and His Shadow. A terrified Stiles calls Scott in the middle of the night. Stiles thinks he’s been sleepwalking and has no idea where he is. He then begs Scott not to tell his dad and to come find him. He thinks he’s bleeding, something is wrong with his leg, he’s in a basement, and he doesn't think he’s alone. Lydia and Aidan are in the school having a late night modeling session. Just before it gets a little naked, Lydia starts hearing Stiles voice over the radio begging for help. A frantic Scott and Isaac rush to Stiles’ house only to meet Lydia and Aidan there. Inside, Stiles’ room looks like a scene from his dad’s office. He has red string stretched everywhere tracing unsolved cases on the walls. Sensibly, the foursome decide that they have to tell the Sheriff. Lydia and Aidan stay behind looking for clues in Stiles’ bedroom. By accident, Lydia discovers that when the red strings are plucked, she hears voices from them. They all seem to be whispering about a house, namely Eichen House. It’s the mental institution where Barrow was being held. So this shouldn't be creepy at all. In his lonely basement, Stiles uses his dying phone to get a look around the room. His leg is bleeding alright! The bone is sticking straight out and a large leg trap is clamped down on it. A rustling in the corner draws his attention. As he yells at the creature there, it drops a piece of white chalk from it’s gloved hand and disappears. On the wall behind where it was, the backwards 5 symbol of the Oni has been stenciled on the wall behind where it stood. Sheriff Stilinski gets his people on the hunt, while Scott calls in reinforcements in the form of Derek and Allison. The police quickly trace his jeep to the hospital, where they find it dead. Only Derek has beaten them there. Scott finds him on the roof where Derek channels his inner Obi-Wan. He instructs Scott on the ins and outs of pheromones and they take a deep breath. With that one breath they can tell that Stiles was having a terribly stressful fight with himself up there alone on the roof. Since he is obviously not there anymore, they continue the search. Back in the basement, the dark figure returns, speaking in Japanese to Stiles. It’s face is wrapped in ragged cloth. 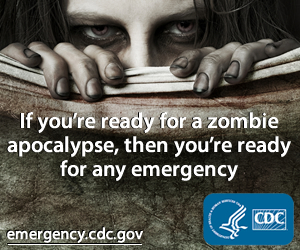 The creature whispers to him through it’s nasty sharp teeth and claims to be trying to save “their” lives. He then points out that the trap was on Stiles’ other leg a moment ago. It appears all of this might be inside Stiles’ head, huh? The team rushes off to Eichen House and barrel down to the basement, only Stiles isn't there. Lydia doesn’t understand why her banshee powers have let her down. She was so sure he was there. Curiously, as they leave, we catch a glimpse of the mysterious Kanji symbol on the wall. They walk right past it without noticing. The Nogitsune gets quite agitated when Stiles doesn't know the answer. The evil creature grabs hold of the chain on the leg trap and begins to drag him across the floor. Stiles screams and scrabbles at the floor, only to be pulled into the arms of Melissa and Agent McCall. He was in the coyote den all this time. Agent McCall remembered it after Melissa told him about Stiles describing a smell that was making his eyes water. I will put aside my general disgust for Mr. McCall, this one time. But I’ll be keeping my beady little eye on him. Isaac finally tracks down Allison, who has been sleeping through the entire crisis. Oddly, her phone was turned off. As she goes through the missed messages, a static-filled voice speaking Japanese starts to play. The next morning, they take it to Kira’s dad to translate. He says it’s someone reading the rules from one of the Japanese Internment Camps that was set up right here in U.S. after Pearl Harbor was bombed. He goes on to say it has to be fake, because there was never a camp by that name in California. Rumor has it, we will learn more about this little twist later. Aidan in his eternal quest to impress someone, tells Derek that he overheard Stiles and Scott talking about the chalkboard incident. Derek scoffs at why an evil Nogitsune spirit would want Stiles when there are far more powerful people in town when he has a thought. This leads him to Kira, who he convinces to take him to the power plant where Barrow attacked her. It turns out that Barrow wasn't trying to kill her. He was using her kitsune “foxfire” to help the Nogitsune get into Stiles. She rightly feels this might make Scott "not so happy" with her. She stays in the parking lot while Derek goes into the hospital to tell Scott. Scott, has been at the hospital with Stiles as they run some tests. You know all of the hints they've been throwing around about Stiles’ mom? Well, it turns out they are looking for “frontotemporal dementia.” It seems parts of the brain atrophies and stops working leading to the insomnia, paranoia, and night terrors that Stiles has been experiencing. His mother also suffered from this and there is no cure. He tells all of this to Scott as he waits to go into the MRI. The two friends hug it out and Scott assures him that if Stiles has it, he will fix it. I have to wonder if he means he’ll turn Stiles into a werewolf. Would that even work or would he just be a demented werewolf? That sounds like a question for Deaton. Derek pulls Scott aside to have his little talk with him. And we finally learn what Derek’s dead mother had to say to him. She told him that his family didn't just live in Beacon Hills, they protected it. Since Scott is the Alpha now, it’s his job to protect the town. It also means it’s Derek’s job to help Scott, hence the Obi-Wan act. This prompts the horrible thought in Scott that Stiles was on the roof trying to stop himself from doing something. The two rush upstairs, to find a bag of tools and a very large damaged cable. Meanwhile Lydia the Banshee has been driven to let out a full blown banshee wail from the metal clanking sound she has heard continuously all day. It sounds just like the sounds of the MRI that Stiles is currently in for his tests. Speaking of the MRI, the Sheriff is learning that his son has atrophied parts of his brain. 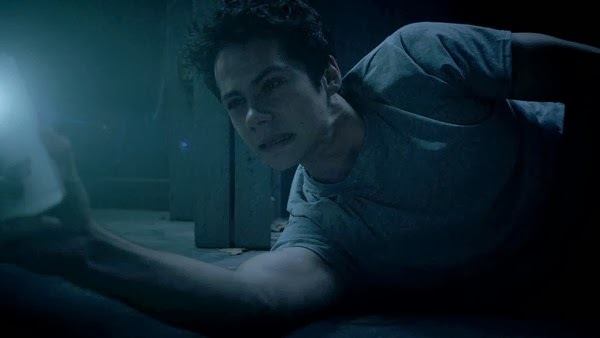 Inside the machine, Stiles closes his eyes and is again confronted by the Dark Kitsune inside him. Once again, the bandaged figure confronts him with the riddle. He tells Stiles that if he answers correctly, he will spare his family. As poor Stiles screams that he doesn't know, the figure begins unwrapping his face. Just as he finishes the job, Stiles who has turned away, whispers the answer. “Everyone has one, but no one can lose it. What is it?” It’s your shadow, of course. As the final wraps fall away, the Nogitsune looks back at him with his own face. The hospital lights flicker, and when the Sheriff looks over to his son, Stiles is gone. On the roof, the transformer box blows up in an impressive spray of sparks. The large electrical cable spitting more sparks goes swinging towards the ground right toward Kira who is standing in the parking lot. I wouldn't worry much, she’s shown she can handle a little juice before. The real juicy stuff is going on inside the hospital. Evil Stiles has found some clothes and is sauntering down the hall as panicked people stream past him. At the end of the hall, the elevator door opens; the flickering lights highlight the figure of a woman standing there. As he approaches, the woman turns out to be Kira’s mother. She looks pretty determined as she assures the Nogitsune that she will destroy him despite the innocent boy he is hiding inside. He smirks disdainfully at her, even as two Oni appear beside her. As he turns and walks away, she assures him that if the Oni can’t destroy him, she knows someone who can. Well, they better make sure Stiles lives or there will be Hell to pay. The next episode of "Teen Wolf," "Letharia Vulpira," airs Monday, Feb 17 at 10 p.m. ET on MTV.